Hi there! Welcome to A Sampling Bee! Today, I share with you an awesome subscription box called Hole In Wall! 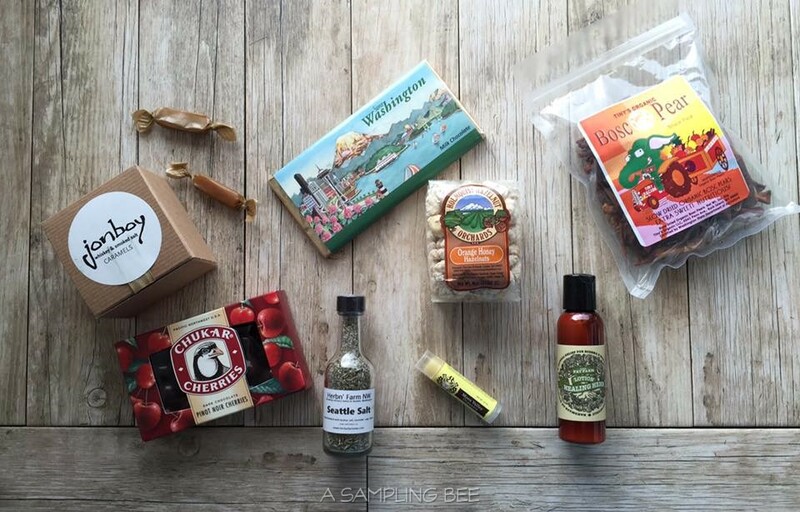 This subscription box lets you explore products from different cities. 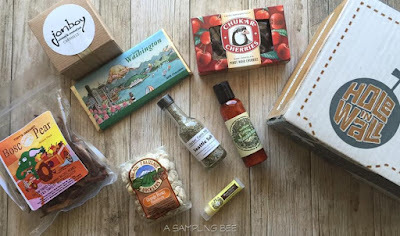 This box that I am reviewing is full of goodies from Seattle Washington! Hole In Wall is a bi-monthly subscription box. Hole In Wall Subsciption Box is full of stuff that you'd find in local mom and pop shops. The products in the Seattle box are products that only the locals know about. That is my Hole In Wall created their subscription box. To get all of us aware of these amazing products! This box is available for international shipping! My favorites? I am loving the Dried Bosc Pears, Seattle Salt and Vanilla Lemon Lip Balm! The lip balm is so silky. It leaves my lips feel like velvet and I love the smell of it! The Dried Bosc Pears are an awesome snack. I am not a pear fan, but I really love this snack. They're chewy and full of flavor. The Seattle Salt is cool because it has lavender and sage in it. The salt is great on anything! Gives food a unique flavor. 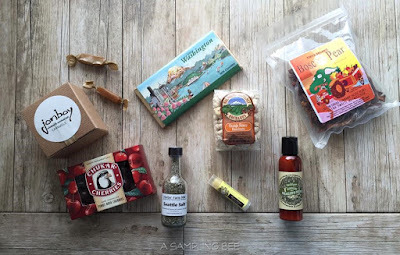 This is by far one of my favorite subscription boxes because it's loaded with stuff I love. I also love this box because there is a great variety of goodies. The Seattle box was amazing! I cannot wait to see what Hole In Wall has in store for their Quebec City Box! Subscribe now! I received this subscription box in exchange for my honest review. All opinions are my own! Always! What are you most excited about trying? Look at all the good stuff in there. I would love this subscription, too! I really enjoy subscription boxes that's all about food, especially when you get to taste food that's not available in your local stores. You get a glimpse of what others eat in different places. 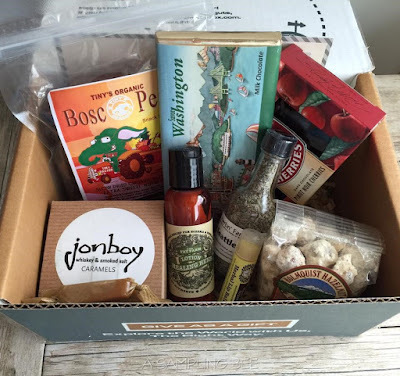 This sounds like an awesome subscription box! What a neat idea to test out your local mom and pop shops! Love it and I wonder if they do it here where I live. I'm sure my wife would love it, I'll tell her about this. Oh my, I want one of those packages! I've always loved collection-types and with the theme that goes with this one, I would certainly love to try each of every city and state's specialties! My hubby would LOVE this box! I really need to do something like this for him. Maybe for the holidays! That looks like an awesome subscription box! I love subscription boxes like these too. I think this would be a great one to get. What a cute name! This would be so fun to check out different cities by these products.